The final bell rings, signaling the end of the last day of school. It’s summer vacation! While the kids in this classroom learned much of the same material over the last school year, they will go off to have drastically different summer experiences. That’s where the StoryWalk® comes in! StoryWalk® is a children’s picture book, deconstructed and displayed along the wide path of the Lower Loop. Children move through meadow and forest, reading each page and interacting with their natural surroundings. 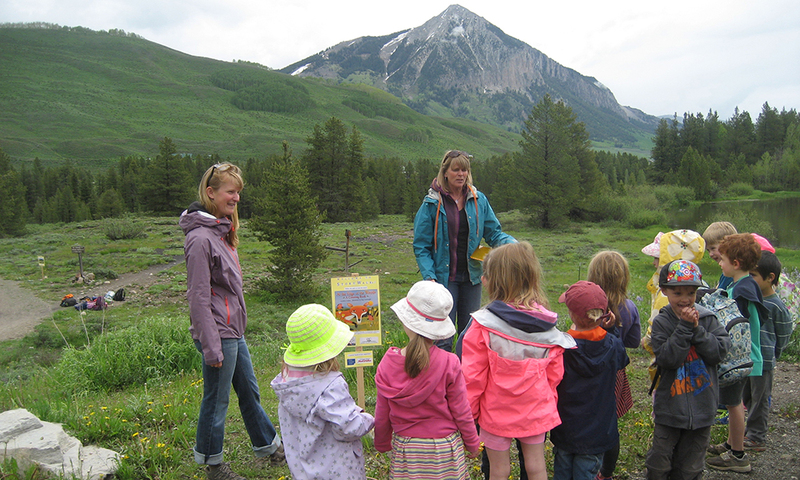 For the last two years, your support has allowed us to partner with the Crested Butte Library to offer StoryWalk® to the community. In 2017, we installed durable display cases that will ensure we can provide a StoryWalk® for many years to come!